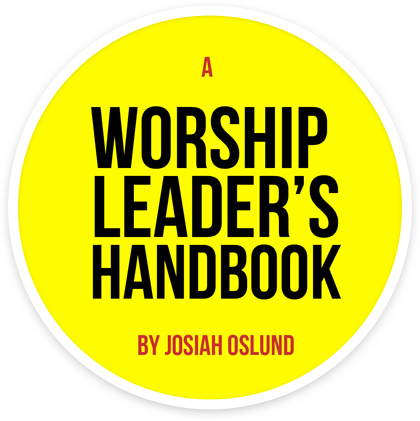 The modern worship leader often wears many hats - from song selection and worship planning, to managing artists, bands, audio/visual teams, equipment, and much more. This book is a brief exploration in the personal, interpersonal, and practical application of modern music ministry. It is written to be a brief and accessible reference handbook - filled with thoughts, tips and technical tricks that have served me well over the course of my own ministry adventure. I share practical insights on how to manage flaky artists and tech teams, how to deal with criticism, tips on getting started with songwriting, understanding your ministry context and much more! My name is Josiah Oslund. Over the last 15+ years I've led worship for a variety of churches, ministries, and camps. I serve as worship pastor at Renovation Church in Phoenix, AZ - and I have a passion for mentoring, developing and resourcing creative leaders within the Church. My favorite color is blue.